At the heart of the Folia business is a true love of plants and the desire to offer stock and other unique items inspired by the natural world around us. Our Hertfordshire showroom is maintained with the minimal use of chemicals, in tune with our ethos: respect for the countryside, responsible sourcing and no artificial additives. Folia's abiding passion is getting it right for the customer, by providing the very best, friendly, courteous and efficient customer service. 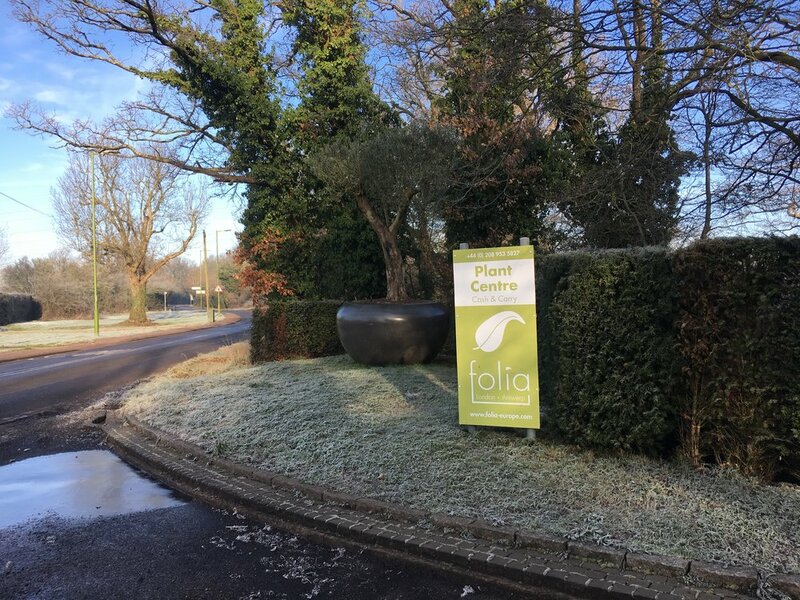 Take a walk around our centre in the winter!